The holidays are right around the corner and with them, an abundance of very tasty food! Don’t fret – braces are not going to affect your ability to indulge yourself in the coming season too much. Thanksgiving can easily be navigated as long as you’re still maintaining the regular braces maintenance routines. You will have to be a bit more aware of the things you eat as well as ensuring you brush thoroughly after eating. Braces are designed to correct the alignment of your teeth to achieve your best smile, but they do have some down-sides. There are certain foods you most certainly should not eat while you have braces. Chewy, crunchy, sticky, and hard foods should be avoided, as well as foods you have to bite into like corn or apples. This might seem like a lot of foods, but you can definitely indulge in plenty of other delicacies. Dairy, breads, grains, meats, fruits, cooked vegetables, and basically all the remaining kinds of food are up for grabs! Thanksgiving turkey, potatoes, green bean casserole, macaroni and cheese, and so many more of your favorite Thanksgiving dishes can be enjoyed with braces. There is absolutely no need to worry as long as you brush your teeth thoroughly after eating. 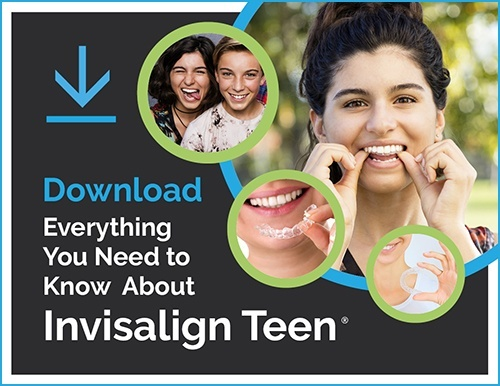 If you’re an Invisalign patient, you should also bring your next set of retainers. If you lose or break your current set, you can move on to the next. You wouldn’t want to have to spend the remainder of the holidays not wearing retainers at all, your teeth might shift and it’s best to maintain your treatment schedule to the best of your ability. Remember, properly caring for and maintaining your teeth during your treatment ensures your end result will be the best that it can be! If you have recently acquired your new braces, you might have some initial soreness. Ibuprofen or Tylenol are handy in alleviating any discomfort you might feel so you can thoroughly enjoy your holiday treats. Also, braces wearers should be sure to travel with wax for protecting the insides of their cheeks from any rubbing that can occur with new braces. The holidays are a fun and festive time. You should not be discouraged from fully enjoying them just because you’re going through orthodontic treatment. Even though you will have to be a little more careful this year than you might have been in the past, just imagine how much it is going to be worth it when you finally finish treatment and get to see your new absolutely marvelous smile smiling back at you in the mirror. You will have no regrets!